The Four Stages of the FSA | Benefit Resource, Inc. If you enrolled in a Flexible Spending Account (FSA) this year, you made a good choice. An FSA (which often comes with an FSA card) provides economic protection through tax savings, while easing healthcare costs through up-front dollars. As a new or returning FSA holder, over the next twelve months, you will experience the Four Stages of the FSA: First Impressions, Familiarity, Frustration, and Frenzied Use. (We will feature a section on how to avoid the latter two). There are various reasons you may have landed on an FSA. We’ll take a gamble and say the tax savings were probably part of it. You could save as much as 40% on taxes. For savvy shoppers, that’s like $40 off every $100 you spend. Or maybe you were wooed by the fact that the money in the Medical FSA is available on your FSA card as soon as the plan starts. (Which is January 1 for many). This is great for budgeting expenses early in the year. Finally, if you are aware that the year ahead carries a large medical sticker price, the FSA most likely made a very favorable first impression. If it’s your first time enrolling in an FSA, you should familiarize yourself with the account. The more you use your FSA card, the more familiar you will become with how it works. You will learn where to purchase items (and where not to purchase items), what is deemed “eligible” and grow to understand common processes FSA holders know, like how to submit a claim. 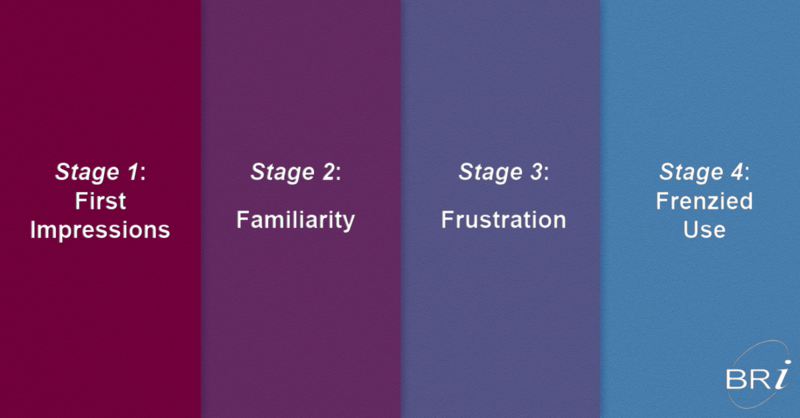 As you become more familiar with your card, you can avoid the third stage of the Four Stages of the FSA: Frustration. Frustration can be common among early FSA users. It usually occurs because your FSA card didn’t work the way you expected. Thankfully, the frustration involved with FSAs can often be avoided. Your FSA card is designed to work at stores where most of the items being sold are eligible. Take the pharmacy as an example. There are very few items you can buy at a pharmacy that are not eligible, so it is likely your card will be accepted at checkout. However, you may still receive a receipt request after your purchase, depending on how the store you purchased from is categorized. Read more about how store categories work and how to know if you will need to submit a receipt. What is the point of a receipt request? A receipt request allows you to prove that what you purchased was eligible. (This is known in the pre-tax industry as substantiation). In other words, the item you bought may have been eligible (e.g. a knee brace) but the location where the item was purchased was questionable based on the store categories (e.g. Mom and Pop’s Pharmacy). Find out more about what substantiation is and why it’s required to avoid frustration. We’re here. The final stage of the Four Stages of the FSA. Frenzied Use. As anyone with an FSA can tell you, it is often referred to as a “use-it-or-lose-it” account. However, that is a bit of a misnomer. In many cases, companies offer variations on the typical FSA set up. These variations give employees more time to use money (and avoid frenzied use). It can be tempting to elect as much money as your employer allows during Open Enrollment. However, just electing money for the sake of electing it won’t help you in the long run. Be conservative during Open Enrollment. If you don’t end up having as many expenses as anticipated, you won’t be left scrambling to burn through the extra funds. In many cases, you have a 12-month period to use your funds. After the 12-month period is over, any unused money is forfeited and returned to your employer. However, some employers allow you to keep up to $500 of your funds, known as a rollover. Alternately, some employers may offer employees the chance to spend down extra funds over the course of two and a half months after the plan year, known as an Extended Grace Period. Before you panic, find out if the $500 rollover or EGP is an option where you work. You can read more about both here. You can use your FSA for more items than you might realize. Rather that looking for items to spend money on, take a closer look at what you already spent money on this year and what might be eligible. Some commonly overlooked items include dental and vision expenses, or health visits like the chiropractor, etc. You can submit a claim for these items and get reimbursed, rather than making new purchases. Now that you know the Four Stages of the FSA, you’re prepared for the upcoming Plan Year. Stay on top of your FSA and tips for using your FSA card by signing up for our newsletter here. (Scroll to “Blog and Newsletter Notifications” on the right hand side).